Over time, tooth enamel can change color, and stains may appear. Many things cause stains, including but not limited to, medications, tobacco, soda pop and trauma to your teeth. Our office offers whitening in the form of trays. You call to set up an appointment with Dr. Finley to have impressions taken of your teeth. A model is then poured up from the impressions and a tray is made that fits directly over your teeth. A whitening gel (containing carbamide peroxide) is applied into the tray and worn overnight. 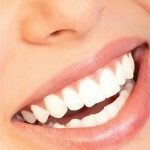 The teeth whiten over a period of weeks. There are different strengths of whitening gel available. While actively whitening, many people can experience tooth sensitivity (especially to cold). This is reversed by discontinuing use of the whitening gel, and can be helped by using toothpaste for sensitive teeth during the weeks in which you begin your whitening. Once you receive these trays, you will be able to whiten as often as needed by just purchasing the gel tubes from our office!